(Pictures are of clinic held atBentwater Community in Acworth, GA.
During the summer months, the North Georgia Pickleball Club has promoted the sport of PB across the north portion of Georgia with beginner clinics lead by Tom Earley and assisted by various club members. Two weeks ago Steve & Pat Dunn arranged a clinic for over 70 residents at Big Canoe near Ball Ground. 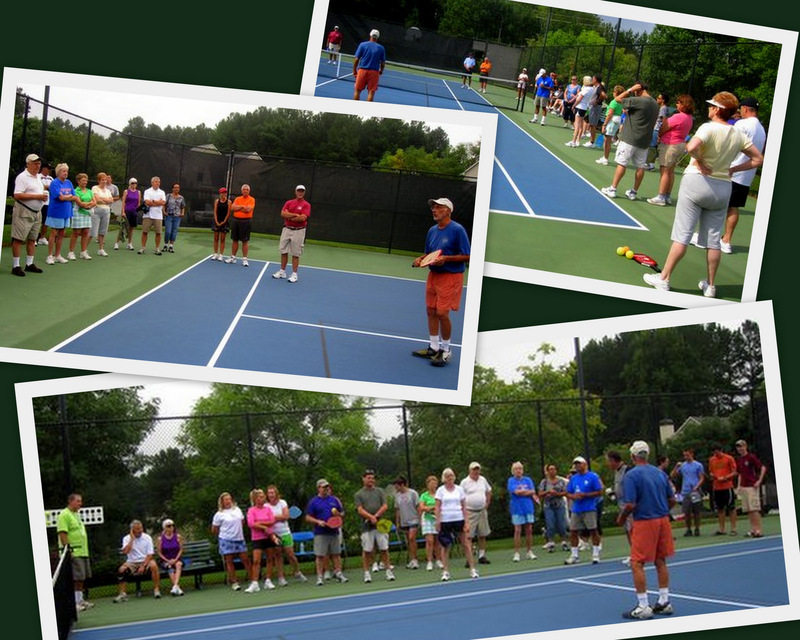 Today Bill Whatley arranged the clinic of 30+ eager players at Bentwater in Acworth. All new players were encouraged to join USAPA. The North Georgia Pickleball Club plays every Monday/Wednesday/Friday and most Sundays at 9 a.m. to noon.